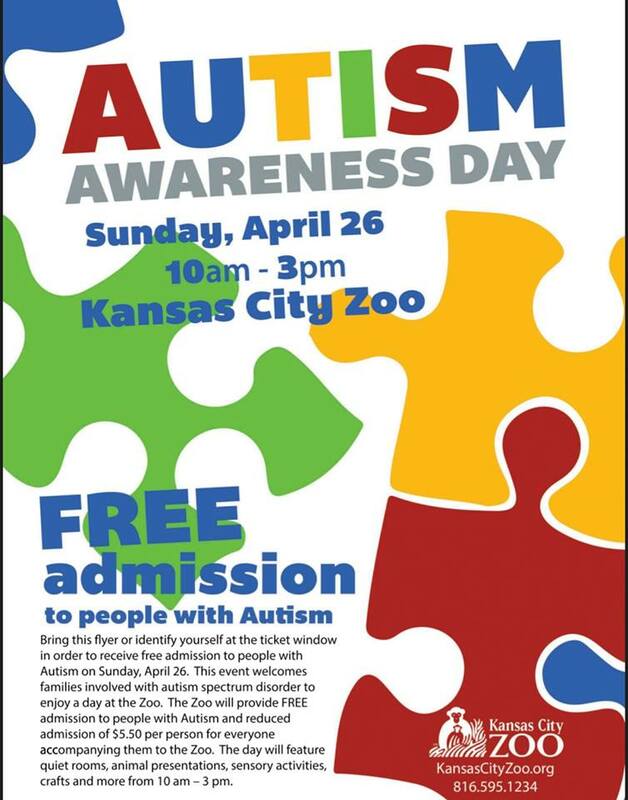 Join the Kansas City Zoo in support of Autism Awareness on Sunday, April 7, 2019. This event welcomes families affected by autism spectrum disorder to enjoy a day at the Zoo. The Zoo will provide FREE admission to people with Autism and reduced admission of $7 per person for those accompanying them at the Zoo. The day will feature quiet rooms, sensory-friendly animal presentations & shows, crafts, & more from 10 a.m. to 3 p.m.